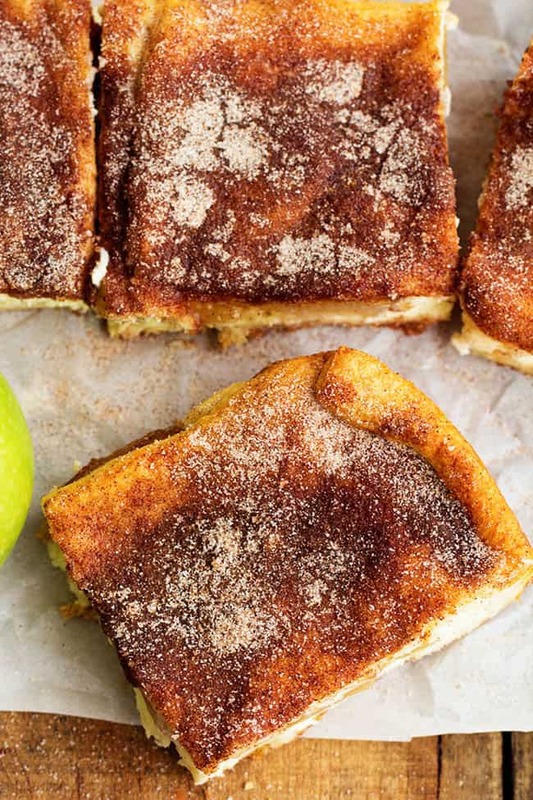 Delicious cinnamon sugar churro bars with a creamy cheesecake and apple center. This is one delicious dessert bar that tastes like you are eating a churro! 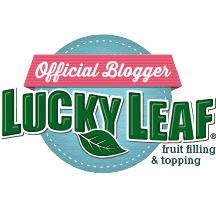 I am so excited to be an official blogger for Lucky Leaf for the second year in a row. I work with brands that I truly stand behind and value their product and use for myself. Lucky leaf is hands down the highest quality fruit topping and filling in my opinion. It has no high fructose corn syrup and has more fruit inside and a lot of different flavors to chose from. It is very convenient and versatile and a high quality product to use to simplify your baking. It is my favorite fruit topping and filling to use and I love creating new and delicious recipes with it. We love churros around our house. The crisp cinnamon sugar outside and the soft and warm pastry inside is amazing with the first bite. So as I was thinking of a dessert to make the thought came to me to make these churro bars. Cinnamon sugar goes so well with apples and I wanted to fill these easy and delicious bars with a creamy cheesecake apple center. These bars come together in just minutes and you will love how easy they are to make. These taste just like a churro with the cinnamon sugar coating and soft pastry outside. But they are so great because you can cut them in squares and have a deliciously filled apple cheesecake bar perfect for feeding a crowd. These are one of the best and easiest dessert bars that you are going to make. 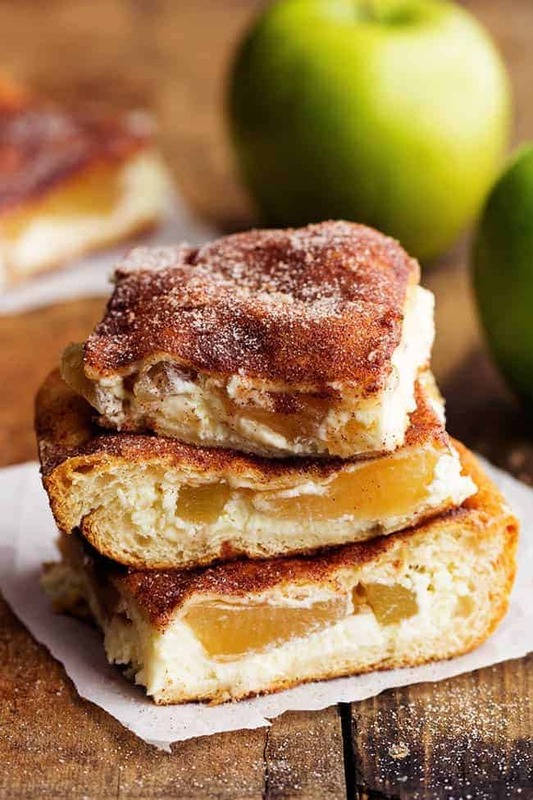 All of the delicious things that you love about a churro are rolled up into these delicious easy to make apple cheesecake churro bar. I am sure that your family is going to love them just as much as we did! To stay up with the latest and greatest with Lucky Leaf, you can follow them on Facebook, Pinterest, and Twitter! Preheat the oven to 350 degrees. Using a hand mixer or a kitchenaid, beat together the cream cheese, vanilla, partially beaten egg, and ½ cup sugar until smooth. Mix together the rest of the sugar (1/2 cup) and 2 tablespoons cinnamon. Set aside. Spray a 9x13 baking dish with cooking spray and sprinkle ¼ cup (or half) of your cinnamon sugar mixture evenly into the bottom of the 9x13. On a piece of parchment paper, roll out your crescent dinner roll dough into a big 9x13 square and press the seams together so the dough is completely sealed. Set the dough in the bottom of your 9x13 baking dish on top of the cinnamon sugar. Spread the cheesecake evenly on top of your dough. Spread apple topping on top of the cheesecake. Unroll the other can of crescent dough and place on top also making sure that the seams are completely sealed. 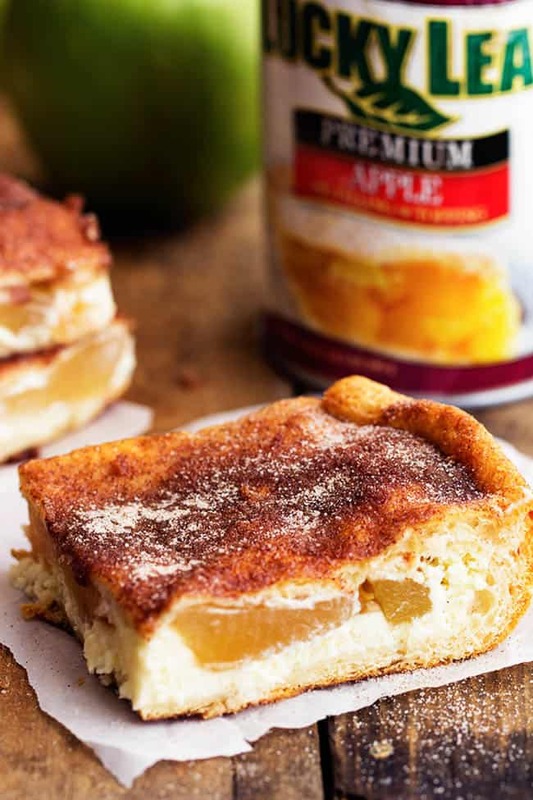 Sprinkle the top with the remaining ¼ cup of cinnamon sugar mixture and bake for 30-35 minutes or until golden brown. More delicious desserts made with Lucky Leaf premium pie filling! This post was sponsored by Lucky Leaf®. All opinions expressed are my own! Hello, I am dying to try this receipt. How much vanilla is called for? I didn’t see that on the ingredients list. Hi! Trying this today-does it need to be refrigerated after baking to set the cheesecake? Worried about losing the crunchiness if I do! Thanks!